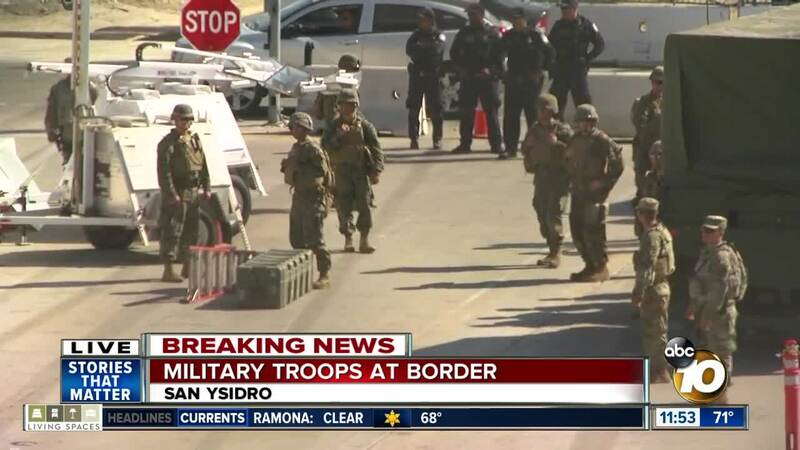 SAN YSIDRO, Calif. (KGTV) — U.S. Marines from Camp Pendleton joined troops at the U.S.-Mexico border in San Ysidro Thursday ahead of the potential arrival of a migrant caravan. 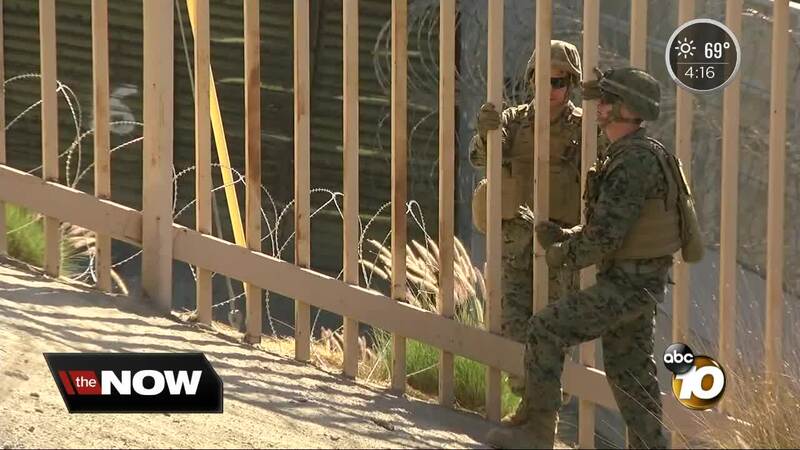 About 1,100 Marines were deployed in support of U.S. Customs and Border Protection, according to 2nd Lt. Fredrick D. Walker, public affairs officer for Special Purpose Marine Ground Force Task 7. Specifically, Marines were working alongside 93rd Military Police Battalion soldiers from Fort Bliss, Texas, to harden fencing in the area to "make it less scalable," Walker said. The deployment is part of a larger effort to place troops at the southern U.S. border ahead of the expected arrival of a migrant caravan from Honduras. The operation was originally dubbed "Faithful Patriot," though that name has since been dropped. According to the Pentagon, there are currently 1,300 active-duty troops deployed to California in support of border operations. Overall, 5,600 active-duty troops have been deployed to California, Texas, and Arizona. Camp Pendleton and Miramar Air Station were expected to house troops in support of the border operations. Naval Air Facility El Centro, Naval Base Coronado, Naval Base San Diego, and Naval Base Point Loma may also host troops deployed to assist at the border. President Donald Trump has said that anywhere from 10,000 to 15,000 troops may be sent to the border in multiple states to prevent members of the caravan from crossing into the U.S. illegally. The Pentagon, however, has only confirmed troop levels could grow to 7,000 to 8,000. Troops are expected to only serve in a support function and not conduct any law enforcement, according to the Pentagon. The forces are a mix of military police, an assault helicopter battalion, various communications, medical and headquarters units, combat engineers, planners, and public affairs units. Military police may be armed in order to protect support units. Many of the migrants are currently in Mexico City, more than 600 miles away from the border, where some have refused offers to stay and want to continue their journey to the U.S.